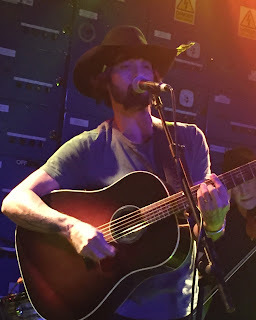 We had it all in Manchester tonight: Ryan Bingham the folk singer, Ryan Bingham the country star, Ryan Bingham the ultimate rocker. All these styles were knee deep in Texas grit as Ryan and his firing four-piece band hurtled through a ninety minute set of material from a recording career now approaching a decade. The sounds emanating from the stage and circulating around a packed Gorilla venue were equally as adept in any of the chosen styles which place Ryan right at the heart of the Americana movement. Perhaps the Friday night feeling leant towards the up tempo rockier songs being the preferred style of the audience. However special commendation must be reserved for the three song encore segment where Ryan required only his sturdy acoustic guitar to reel off a trio of gut wrenching symbolic numbers. Two of these, namely ‘The Weary Kind’ and ‘Nobody Knows My Trouble’, were easily amongst the many highlights of a show undulating in mood and tempo but forever consistent in crafted effect and panache. An unscientific straw poll would surely have placed the fabulous ‘Southside of Heaven’ at the top of audience reaction with many Bingham devotees at the front totally intoxicated by this song. 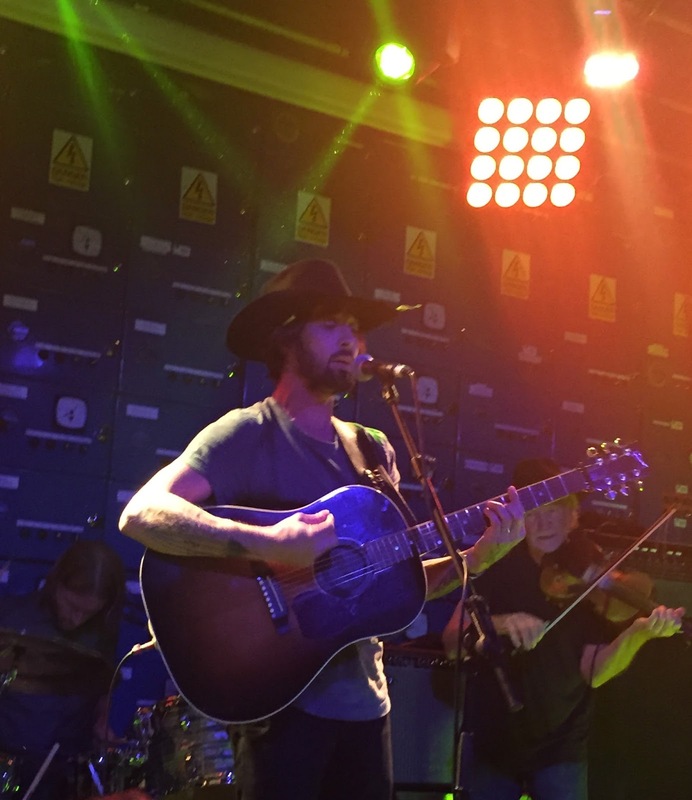 The exhilarating ending raised the venue’s rafters and it was apt for it to hold the position of main set closer creating audience fervour for a little extra Ryan Bingham. Circumstances had dictated a delayed start to this gig for me meaning that sadly the Sons of Bill opening set was missed. This was particularly disappointing as the guys created such an impression with their Birmingham show earlier in the year and their scheduling to support Ryan on these October dates was an enticing prospect. Maybe arriving in Manchester late, coupled with adjusting to the venue’s sound capabilities plus Ryan finding his vocal groove, led to the set taking a few songs to hit its stride. However as soon as ‘Radio’ from the latest album pierced that aural pleasure zone, the gig’s optimum level was reached and maintained through to the usual weekend ‘disco’ curfew indicative of many of our city centre venues. The year had started with Ryan’s latest record FEAR AND SATURDAY NIGHT creating significant waves in the music press who 'get' his music and there was a firm prediction that the album’s light will still be flickering brightly by the year’s end. The wait to finally catch Ryan live was eventually over this evening and to celebrate the new record he added ‘Broken Heart Tattoo’, ‘My Diamond is Too Rough’ and ‘Top Shelf Drug’ to the set list to join the previously mentioned stand out tracks ‘Radio’ and ‘Nobody Knows My Trouble’. The former of these five tracks was dedicated to all those who were leaving little loved ones behind for the evening and this included most of the band. Unfortunately the names of band members escaped me despite a couple of introductions from Ryan but all four did their job to the usual high degree. The bassist and percussionist quietly got on with their essential rhythm duties, with the lead guitarist and fiddle player adopting a far more expressive and flamboyant role. Mindful of the curfew and that Friday night desire to just get on with the music meant the chat was cut to a minimum but Ryan utilised these short interludes to come across with immense humility and gratitude. This may be instinctive to his nature and something heightened by travelling thousands of miles from home to share your music with an enthusiastic crowd. The set list proved to be an excellent cross section of Ryan’s recording career. His 2007 album MESCALITO came to the fore with ‘Sunshine’ and ‘Bread and Water’ serving well as the evening’s climax. Of course ‘Southside of Heaven’ had done a similar job pre-encore. One deviation from his own material saw Ryan pay tribute to fellow Texan singer-songwriter Terry Allen with a version of ‘Dogwood’. Let’s not forget contributions from Ryan’s three intervening albums: TOMORROWLAND, JUNKY STAR and ROADHOUSE SUN, showing that despite a career of ups and downs, he has consistently made great music. This latest European venture for Ryan Bingham has showed a great appetite for his music many miles from his homeland with a potential to widen UK appeal outside the handful of dates he played in London, Bristol, Manchester and Glasgow. There was no short change from catching Ryan live for the first time and the derived satisfaction from feasting on FEAR AND SATURDAY NIGHT all year has been crowned this evening.